Some job searches are tougher than others. Advertise for a part-time admin role and you’ll get 20 CVs in a day or so. Start searching for a developer with specialised skills or for a senior role with precise definitions of industry, product and maybe people management experience – you’ll probably have a mental image of tumbleweed rolling by every time you check to see if any CVs have arrived. It depends on how precisely you define the skills and experience you need – and sometimes location too. If there’s a skills shortage for that kind of role in your area, then you probably already know it’s going to be more challenging to fill the vacancy. So what can you do? Hopefully you already realise you have to see things from a candidate’s point of view: getting people to want to work with your company rather than alternatives involves not just “selling” the firm to them, but offering reasons why it’s a good fit for them including in terms of their career and skills development, any benefits (not just salary) and, although you probably don’t want them to leave ever, how it will help them go on to bigger and better things – with you if possible, but also with other companies. “We can’t get local candidates because there’s a skills shortage” is something we hear regularly. If you know you’re unlikely to quickly attract a number of local candidates, you need to think about how you can persuade people to move home and work with you. If you know this is highly likely to happen, then it’s important to remember that the candidate’s making 2 big steps: a new job and a new home town. Anything you can do to help them work out if they want to live in your area, before making a job offer, is an excellent idea. 1 INTERVIEWS Do you really need to see people face-to-face if it involves asking them to travel long distances and probably stay overnight? Try phone and/or a video call first. Even a fairly short chat means you and the candidate will get a feeling about whether you want to go ahead with anything that involves travelling to meet up. A Skype call means you can see each other. If you’ve already spoken to each other, both sides will feel more confident about investing time and money in arranging to meet up. 2 TRAVEL Don’t be cheap. Offer to cover their travel expenses and offer a hotel room, in case they prefer to stay over rather than face a really long day trip. 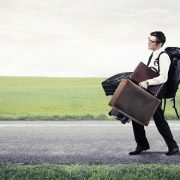 It also means the candidates have a chance to look at the place they might be moving to, if they take up your job offer. Expecting candidates to spend a chunk of cash on travel is a big ask and might put them off. 3 HELP Not everyone likes travelling to a new place and finding their way around. Some places are more confusing for newcomers, depending on how different it is to where they currently live. I’ve met candidates when they arrive, taken them to their hotels, shown them around, given them maps and sent them details of how to get to the place where they will be interviewed (and maybe work). I’ve met them and travelled with them to the interview, provided website links so they can see their potential new home town before they arrive and handed over tourist information packs too. Make an effort and it’s appreciated. Leave them to sink or swim on their own, and that’s their first impression of your company. 4 A VISIT If you’re asking them to come here for an interview and you’re offering to cover a night in a hotel, why not go a little further? Perhaps pay for hotel accommodation for them to stay for a weekend too, if you interview on a Friday or Monday. It means the candidates spend a little time “living” in their potential new home before deciding if they want to move there. Covering the costs of that is cheaper in the long run than any problems down the line – if they move then decide they don’t want to live in their new home after all. Plus if you interview on a Friday and they stay for the weekend, it means you can arrange to meet up the candidates again on the Monday, if you want to see them more than once. 5 RELOCATION Yes, more cash. It’s not always necessary, but think it through. Offering to arrange accommodation for a month or so just makes it much easier for the new employee to arrive and start work, while she or he finds somewhere to live. Work out what your preferred options are and how much they are likely to cost. When you’ve totalled that, take a deep breath and think it through. 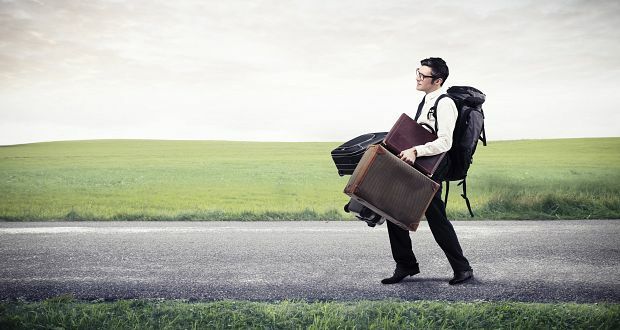 If you can provide financial assistance which helps you attract someone to commit to moving town and hopefully working with you long-term, is that a good investment for you – especially if the alternative is having nobody for months while you wait for a great local candidate to appear?